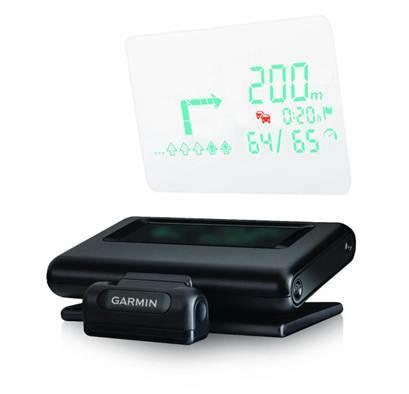 Garmin announced the HUD last year, and following its immense success, Garmin have today announced the HUD+. Featuring a new free dedicated app, that provides full European mapping, this will cost just £159.99, with a complete out of the box solution, and will work by projecting crisp graphics on your windscreen’s base, directly in the driver’s natural line of vision. It features automatic brightness, and this means that the turn by turn directions are clearly visible, whether it is at night, or in direct sunlight. This means that any car will get that futuristic feel a lot of us ‘normal’ people yearn for. The product is a good example of less is more, and it really focuses on keeping your attention on the road. The HUD app works in conjunction with a smartphone, making the HUD+ a simple device to set up and use. The idea is that it only projects information you need, when you need it, but in doing so, it projects a lot more than most conventional devices. You get information such as estimated time of arrival, lane assist, speed, traffic and safety camera alerts. Physically installing HUD+ only requires you to install the included transparent film on to your windscreen, to aid the display of course. Alternatively, you can add a reflector lens too, which is also included. Once done, you place the HUD+ on your dashboard, pair the device with your smartphone via Bluetooth, and then all you need is to enter or say your destination, and off you go! So, what do you have to pay for all this? Just £159.99!